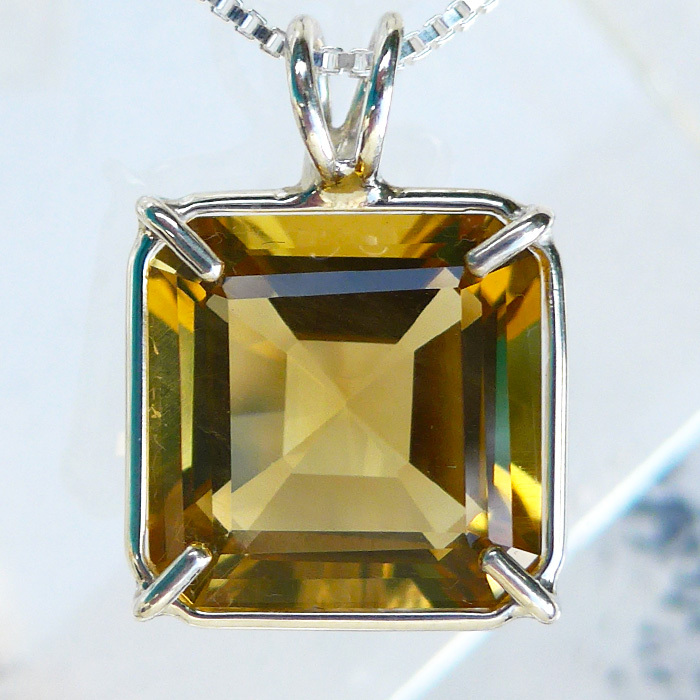 Dimensions (HxWxD): .75" x .50" x .35"
This beautiful gemmy water-clear Honey Citrine Earth Heart Crystal Pendant in a sterling silver setting comes with a sterling silver chain in its own velvet jewelry box. 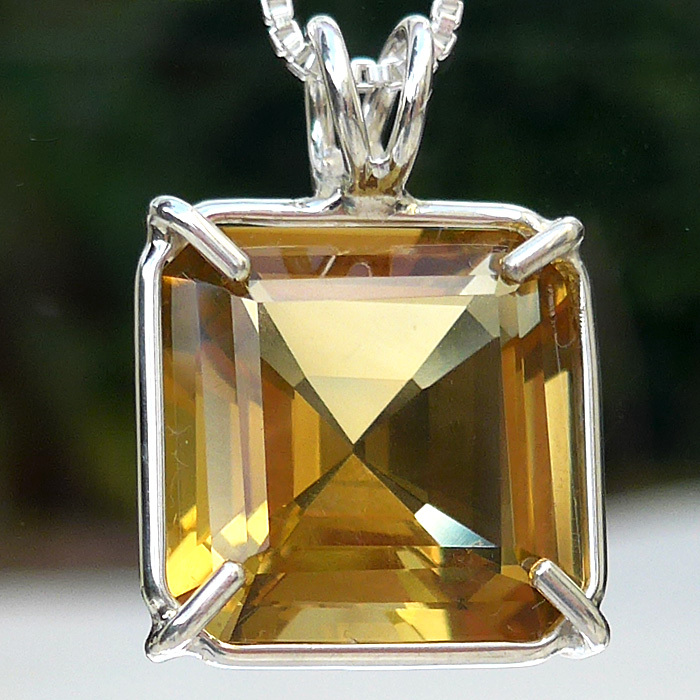 This unusual and beautiful new pendant from one of our suppliers has been named Earth Heart Crystal because of its ability to create a "peaceful refuge in alignment with the deep and pure Heart of the Earth, revealing lessons in Oneness and facilitating humanity in achieving global consciousness." Note: Weight above is shipping weight. Net Weight is .20 oz. Each piece is unique and may vary slightly in appearance & color. Each piece is guaranteed to be beautiful and to meet with your complete satisfaction!